Google Hangouts is one of the most popular ways for teams to meet and speak online. Like most of the Google Suite, Hangouts is a web application, meaning there's no program to download or run locally; everything is done through your browser, and Chrome obviously works best. However, on Android and iOS, you can download the app from your app store and just as easily create a Google Hangout. On PC, Mac or Linux: Open Chrome and select the three vertical dots in the top right corner. Mouse over More tools, then select Extensions. 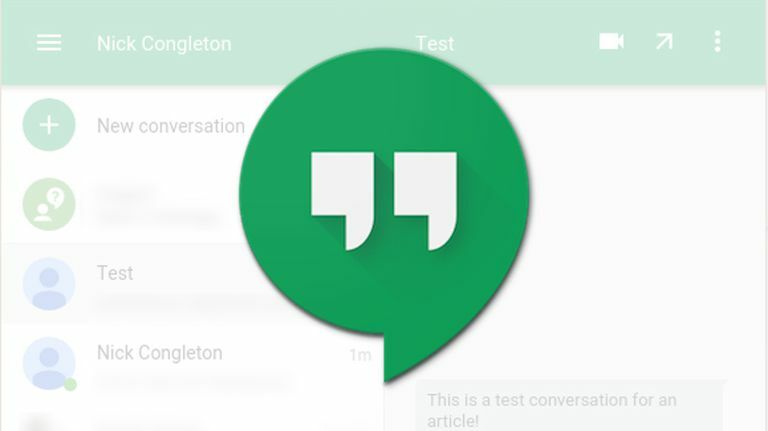 On Mobile: Search for "Google Hangouts" in your app store, then download the app. After you have it, launch the app and skip ahead to Step 7. Select the three horizontal lines in the upper left corner of the screen, then select Open Chrome Web Store towards the bottom. Search for "Google Hangouts" in the Chrome store. The first result will likely be the correct one. Select Add to Chrome. Chrome will ask you again to confirm you want to add Hangouts to your browser; select Add extension. Select your new Google Hangouts icon in Chrome to launch it, then select Sign In. Enter the login info for your Google account. This is a one time process. After this, the Hangouts extension will remember your account and sign you in automatically. On PC, Mac, and Linux: Once you've successfully signed in to your account, the extension will let you access your controls. There you'll find your previous text conversations, if any, and you'll be able to start a new conversation or call. On mobile: The interface is almost identical to the one in Chrome, save for the green plus sign to add a new conversation, located in the bottom right of the screen. To start up a new Hangout, Select New Conversation. On mobile, tap the green Plus (+). Under the new conversation tab, you'll find a list of people you've added to Hangouts. You can also start typing the name, email address, or phone number of the person you want to start a conversation with. To start up a group conversation, select New group, then add the names, emails, or phone numbers of the people that you'd like to add to your group. Afterward, give your group a name, then select the checkmark to begin the hangout. In Chrome, select the video camera icon at the top of the Hangouts window to convert the conversation to a video call. On mobile, tap New video call, then tap the names of people you'd like to add. You can also manually enter their contact info. When you're ready, tap the green camera to begin the call. When you're done, you can close the window or exit the app to leave at any time. If you're on a video call, select the red phone toward the bottom of the window to hand up. Google Hangouts preserves your conversations and groups, so you can keep coming back and adding to your chat. You can always start your video conversations back up, too.